Periodontics is the dental specialty in treating gums, inflammation, and dental restorations. The most common condition treated by periodontists is gingivitis, also known as gum disease or bleeding gums. 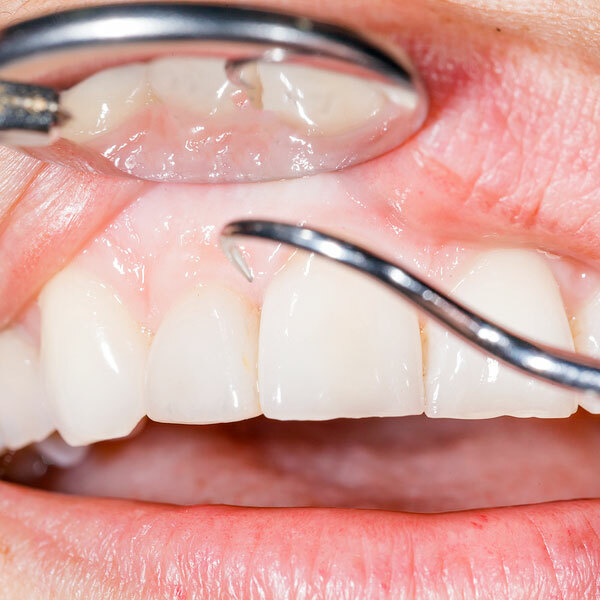 Gingivitis results from lack of brushing or flossing, as well as infections that haven’t been treated properly or simply bacteria that have somehow infected the gums. Our dentists offer different treatments for gingivitis, depending on the severity and the condition of each patient. If the gingivitis is detected in an early stage, it can be eliminated with normal tooth brushing and a special mouthwash. More severe cases might involve the physical removal of bacteria and plaque with specialized dental tools. Gingivitis, when left untreated, leads to periodontitis, a condition where the tissue and the bone starts to break down. Gingivitis is the number one cause of tooth loss, which is why it’s so important to detect it and treat it as soon as possible.